They are a race of warriors, a noble people to whom honor is all. They are cousin to the Vulcan, ally to the Klingon, and Starfleet's most feared and cunning adversary. They are the Romulans -- and for eight years, Federation Agent Terise LoBrutto has hidden in their midst. Now the presence of a captured Starfleet officer forces her to make a fateful choice -- between exposure and escape. Between maintaining her cover -- and saving the life of Dr. Leonard McCoy. 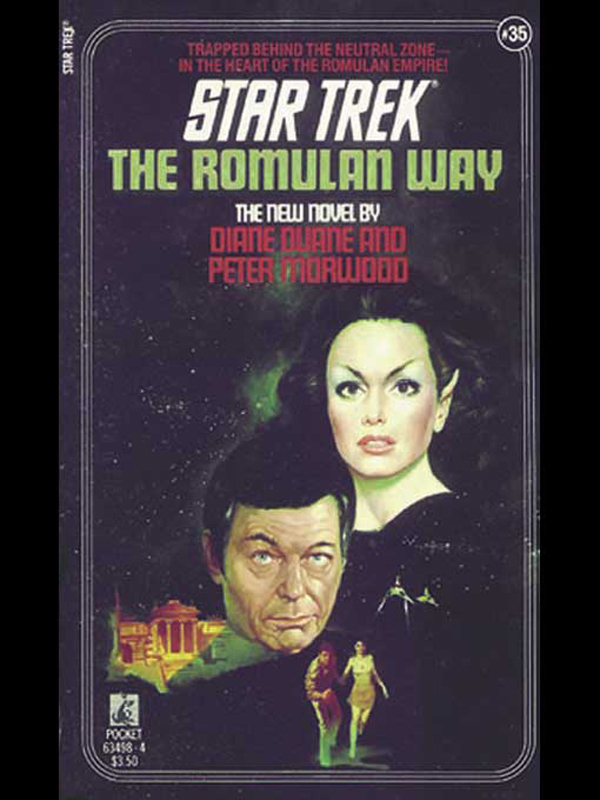 Here, in a startlingly different adventure, is the truth behind one of the most fascinating alien races ever created in STAR TREK -- the Romulans.